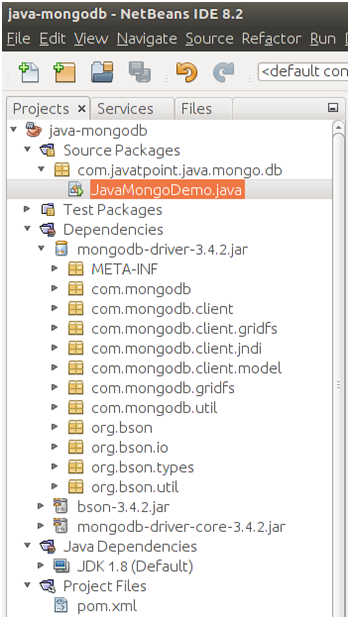 To connect with MongoDB database, Java project includes the following steps. 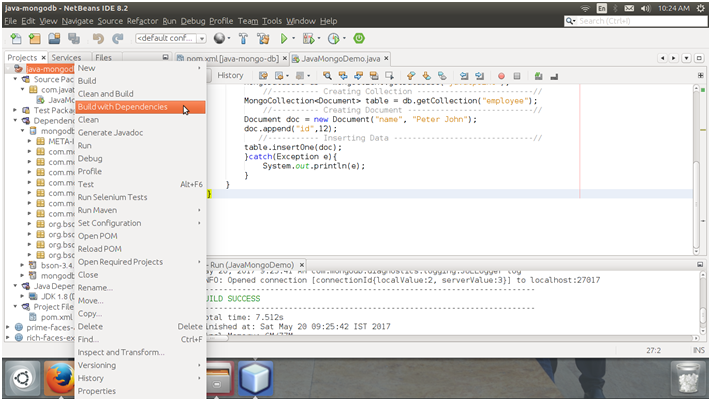 Here, we are creating a maven project and providing dependency for the mongodb-driver. Create a Java file and write code to create connection. Finally, our project structure look like this. Make sure, we have mongoDB installed. 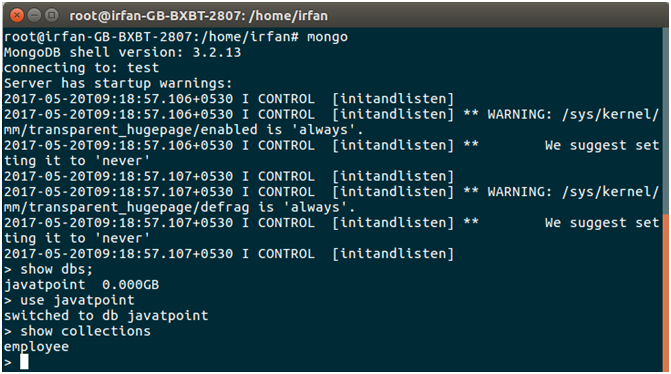 After installing, enter into mongo shell by typing the following command. 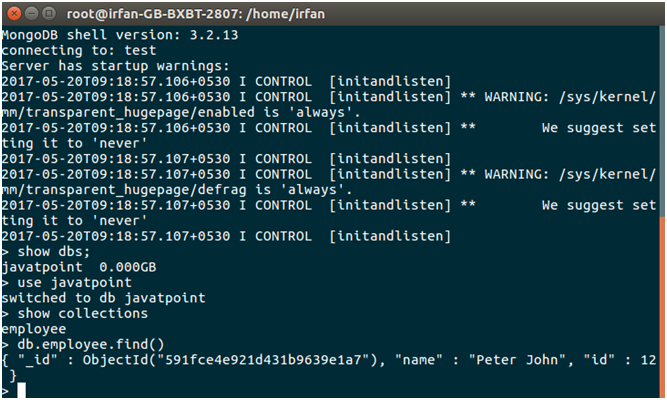 We can see available databases by using the following command. We can see that there is no database available. let's create a database. Run this file to create database. Check MongoDB again to see the available databases. 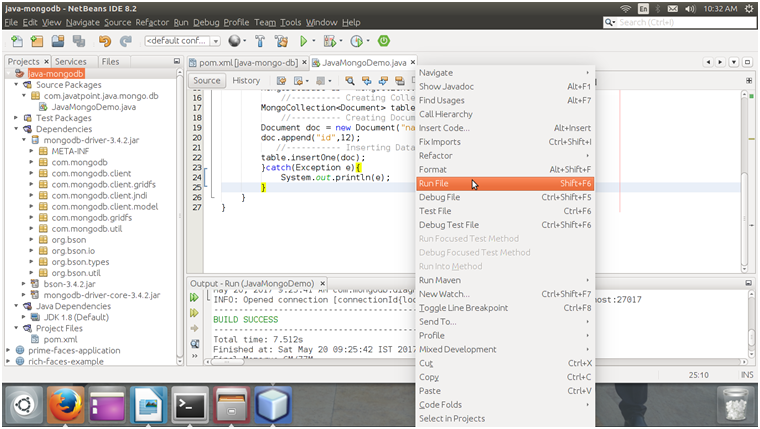 See, a database javatpoint is created. See, the created collection employee. 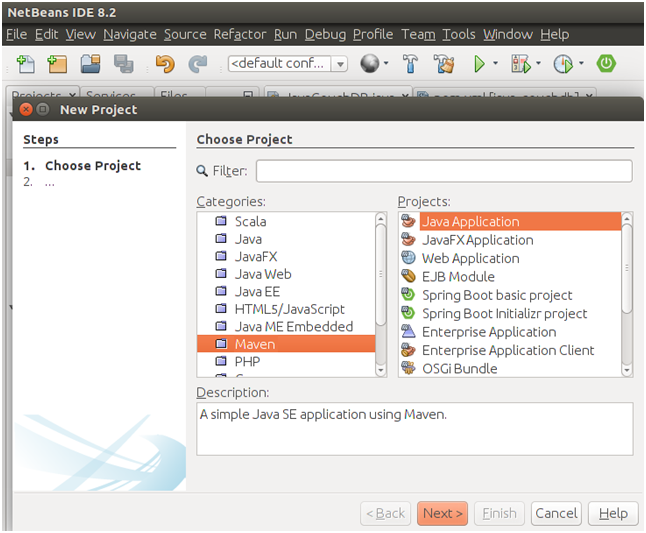 Well, we can see that the Java program is executing fine and we can also perform other databases operations as well.